Lagadapati - What's Your Hidden Agenda? Surveys conducted by Lagadapati Rajagopal has got credibility because they are mostly accurate. Until recently, He had this habit of disclosing the survey results after the end of polling. However, The Former MP made people suspect that there could a hidden agenda behind the strategy he followed for Telangana Polls. 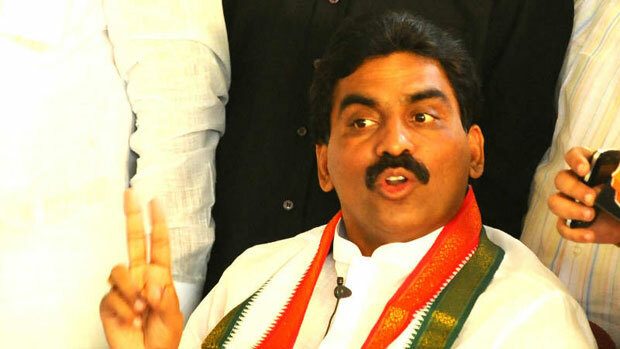 Firstly, Lagadapati disclosed 8-10 Independents will be win in the Assembly Polls while speaking to media in Tirumula. Thereafter, The Andhra Octopus predicted neck-and-neck fight between TRS and Mahakutami. He has gone to the extent of revealing names of Independents who gonna win & winning chances of TRS and People's Alliance in undivided 10 Districts. Today, The Former Congress Leader gave enough indications that People's Alliance will form the Government. Lagadapati Rajagopal should have refrained from such tactics which could influence the voters. In a country like India, A section of Voters would prefer supporting the party which comes to power. When there is a neck-and-neck situation, Each and every vote is going to be crucial. Be it any elections in the past few years, Margin of victory in 30-40 segments is less than 5,000 votes. Here, Lagadapati seems to have made a deliberate attempt to favour Mahakutami. He would have waited until the conclusion of polling had if there are no vested interests. T-Polls: Publicity Ends - Game Begins!